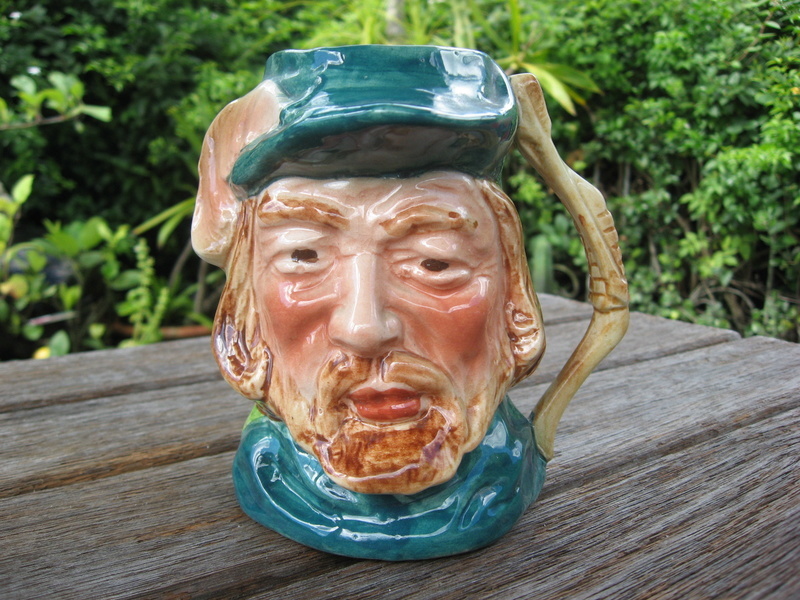 Impressed on the base Robin Hood and marked CB,I'm assuming this must be Cameron Brown.An identical jug is on Page 150 (2nd edition) of Gail Henrys book New Zealand Pottery. it came with four Aquila tobys from the same series. Has that CB been put on with a green felt pen? Ev wrote: Has that CB been put on with a green felt pen? 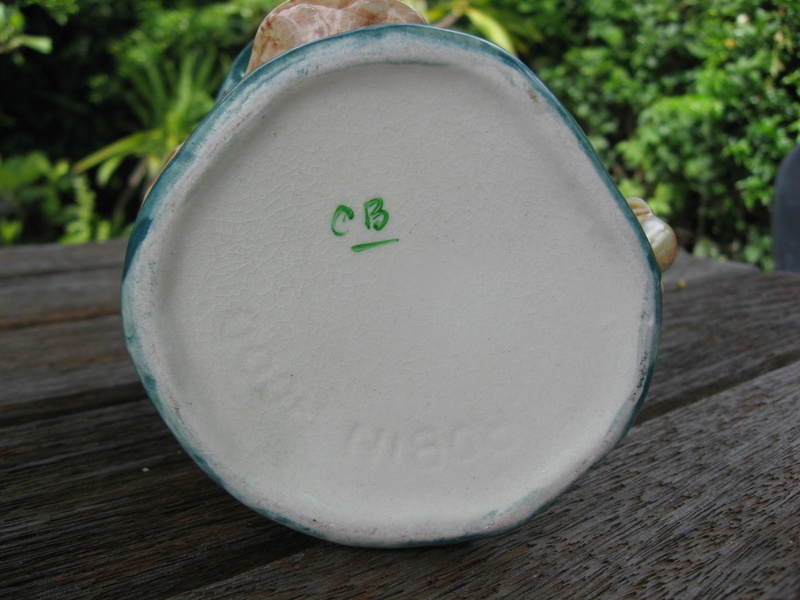 Had a good look under magnification and it appears to be on top of the glaze,so I guess it could have been marked that way.It was like this when bought.It doesn't have the Aquila stamp like the others. Just couldn't bring myself to leave them all in the shop,even though I'm more of a studio pottery collector.